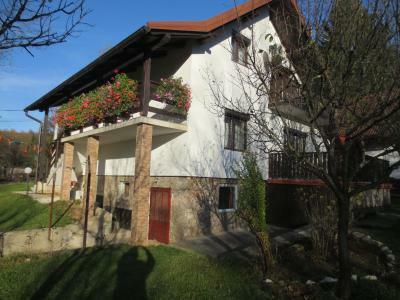 Lock in a great price for House Jezerka – rated 9.2 by recent guests! Everyone was very welcoming. Showed us where to go in the park and even drove us to the park entrance! Helpful host, nice breakfast, room met our needs, quite close to entrance 2 of the park (by car). We were there for just 10 hours though. The hosts were very lovely, and the space while small and cabin-like was clean and very well maintained. Perhaps dated, but clean and sufficient. Perfect for hiking in the woods, but do not come here expecting luxury. 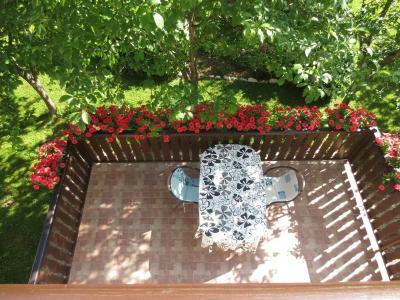 We enjoyed a comfortable, clean room (and balcony) within walking distance of Plitvice Lakes. Our host was even nice enough to drive us over to the lakes upon our arrival so we could leave our car at the house. You can get breakfast at House Jezerka. Also, concerning WiFi...it worked well outside of the house...remember, you're not in the city here! So close to entrance 2 of the park. Great location. Great breakfast. It is somebody's home so it is simple. Just as in the pictures. Very good service. It was perfect for the night. I recommend it and for sure would to it again. Book it! We were there for only one night. 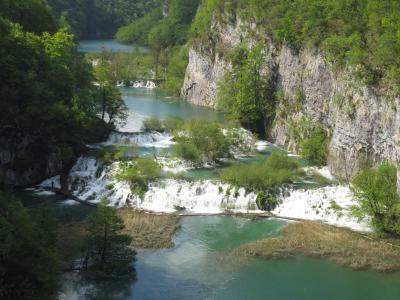 We went to Plitvice the next morning. We were greeted with two shoots of homemade liquors. Room was spacious and clean. Do not pass on the breakfast. Great way to start your day. Excellent! My in-laws own/operate their own guest houses, so are discerning customers. We were all blown away! Excellent. 10! The host and hostess were very friendly. The apartment was clean and quiet. The bed was comfortable. Lovely apartment in a great location just near the southern entrance to Plitvica national park (Entrance no. 2). The hosts were very nice and welcoming. The breakfast was good. 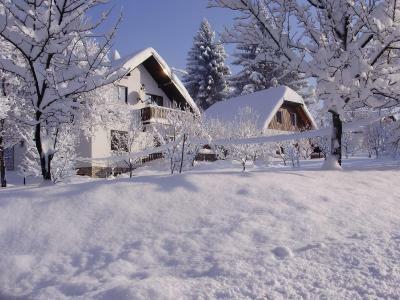 House Jezerka This rating is a reflection of how the property compares to the industry standard when it comes to price, facilities and services available. It's based on a self-evaluation by the property. Use this rating to help choose your stay! One of our best sellers in Jezerce! 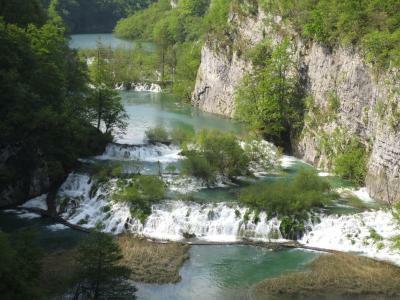 Vila Jezerka is in Plitvicka Jezera, one mile from Plitvice National Park. Accommodations are equipped with a work desk and satellite TV and has a private bathroom. All apartments have a kitchen with kitchenware and a dining area. 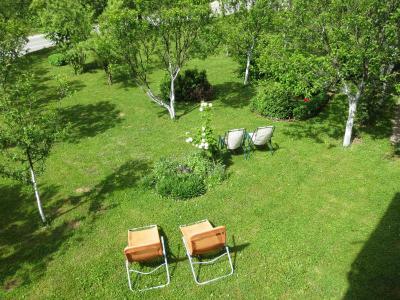 A beautiful, spacious grounds area with barbecue facilities is at guests’ disposal. A laundry room is also available. 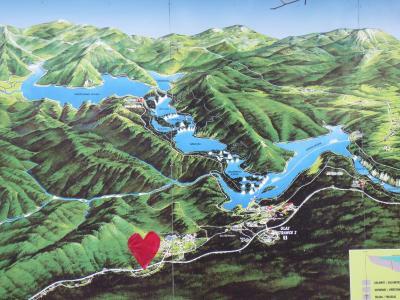 Guests can reach a local restaurant and the grocery store within 650 feet to 1,700 feet. 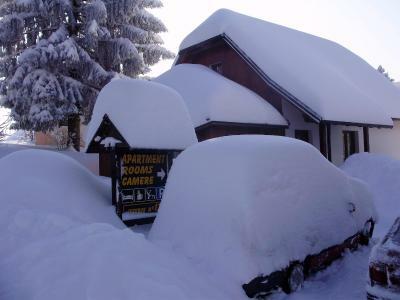 Free private parking is available at the guesthouse. 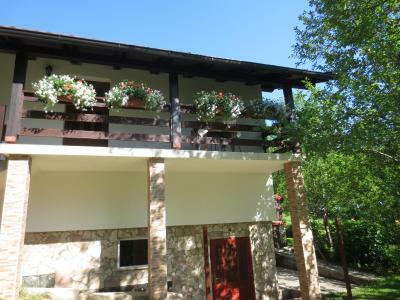 This property is also rated for the best value in Jezerce! Guests are getting more for their money when compared to other properties in this city. 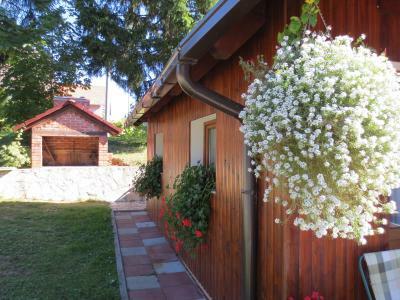 When would you like to stay at House Jezerka? Pastel colored rooms featuring a desk, satellite TV, and a private bathroom with shower. This apartment consists of a kitchen with a dining area and a spacious terrace with a view of the garden. A desk and satellite TV are available. There are two bathrooms fitted with showers. House Rules House Jezerka takes special requests – add in the next step! House Jezerka accepts these cards and reserves the right to temporarily hold an amount prior to arrival. It's a little noisy as you could see and hear the road from our room. But it was fine overall for us as were tired from walking the whole day. The staff were great. They were very friendly and gave us a few tips about the area. We were unsure about whether our bus back to Split would stop at the bus stop nearby. So they kindly dropped us at Entrance 2 as we had luggage. But this was not required as the bus did indeed stop at stop Mukinje (which is about 200 metres away). But better be safe than sorry. The little kitchen was very handy. We only made our breakfast there. It's a good 20 min walk to Entrance 2, but it's a nice walk through Mukinje village. Excellent location to park . Kitchen facilities. The house is in a great location as a base to explore the National Park. Bus pulls up at Mukinje bus stop a couple hundred metres from the house. Common kitchen was clean and well stocked, although it does get cold. Friendly hosts and they provide a nice breakfast. The hosts were very friendly and they welcomed us with a drink when we arrived. 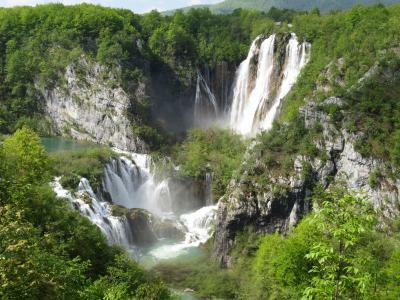 It is couple of kms from the Entrance 2 of Plitvice national park and they gave us good suggestions on how/where to go. The rooms are located in a quiet and relaxing neighborhood, just how we wanted. The breakfast was really good and she even arranged it very early as we wanted to visit Plitvice by 8am. 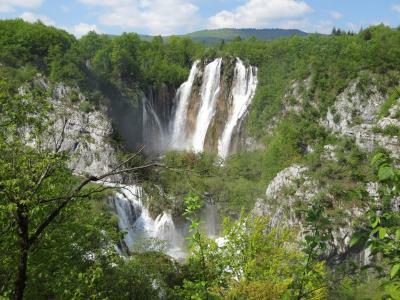 It is a little far away from Plitvice. If you have a car, it is no matter. However, you can walk. It will take a 10 min. The host was very kind. Breakfast is simple but good. The room and bathroom are clean. You can feel comfort. I recommend this apartment. For some reason, wifi was not available. Host had some misunderstanding with our booking. 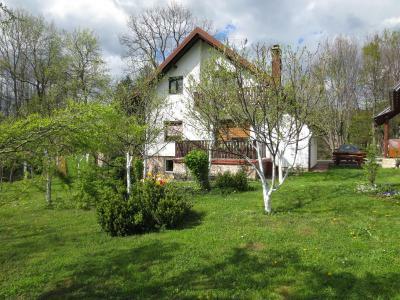 Close proximity to Plitvice Lakes, good room with separate access to communal kitchen. Within 5 minutes walk from Mukinje bus stop. Good kitchen facilities separate from the bedroom. Host gave us a lift to the lakes in the morning. Supermarket within walking distance. 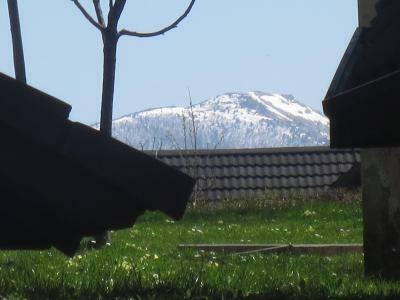 Location is perfect, just a few minutes driving to the national park entrance. The hot breakfast is wonderful, at a nominal price. 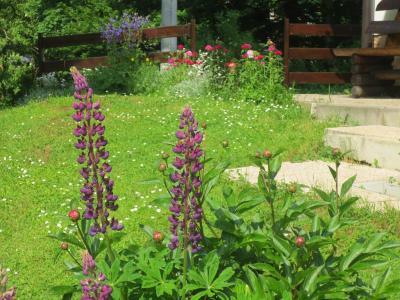 Comfortable accommodation in a great location for visiting the National Park. The owner was very friendly and even dropped us at the park gates so we could avoid paying the parking charges. The breakfast, for €6, was excellent. There is a good pizzeria and a supermarket within walking distance. Friendliness of the owner, the placeis well maintained, owner gives us a ride to Entrance 2 in the morning, shared kitchen for some light cooking. The property owners were exceptionally accommodating, going so far as to provide an extensive and delicious breakfast each morning, as well as baked goods upon arrival. The owners also drove me (and other guests) up to the national park which was extremely convenient. Further, the owners offered advice on how to best reach the supermarket and other important destinations. They even went so far as to kill a bug I found on the property! Suffice it to say that the management went above and beyond to meet all needs. 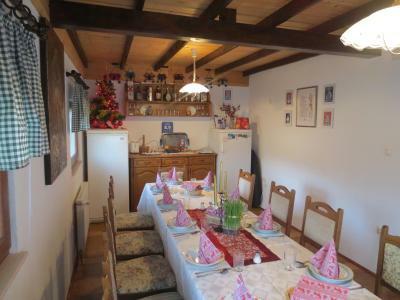 The rooms were also very cute, and the kitchen was perfect and well-stocked! Good sized room with a large comfy bed, a TV and air-con. The view from a big window was into woodland with other accommodation scattered around. The WiFi didn't work at first so the owner let me use the large room below. He also explained which parts of the national park walk to do first as i arrived mid afternoon. I also decided to stay another night but this house didnt have space so the owner tried to sort me out with another house in the hamlet. Continental breakfast was really good - lots of options. Filled me up for best part of the day! Communal kitchen space...I didnt use but saw others using and it seemed to suit their needs. Close to National park entrance 2 if you walk (about 2km) you can save on car park fees. And its mostly on a lovely woodland path and brings you out on the main track down to the entrance. The owners are wonderful and very helpful. They take the step to make your stay extra special. I would highly recommend. The rooms are spacious and clean. The kitchen is highly functional. She welcomes you with homemade desert and a drink. The house is 5-10 minutes from the park.